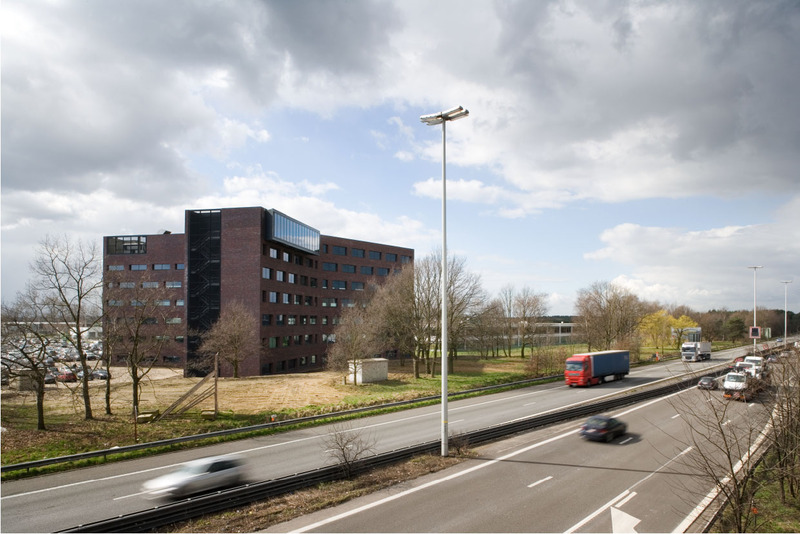 Under authority of Cordeel nv, we designed a 8800m2 office building for the end user Nokia Siemens Networks. 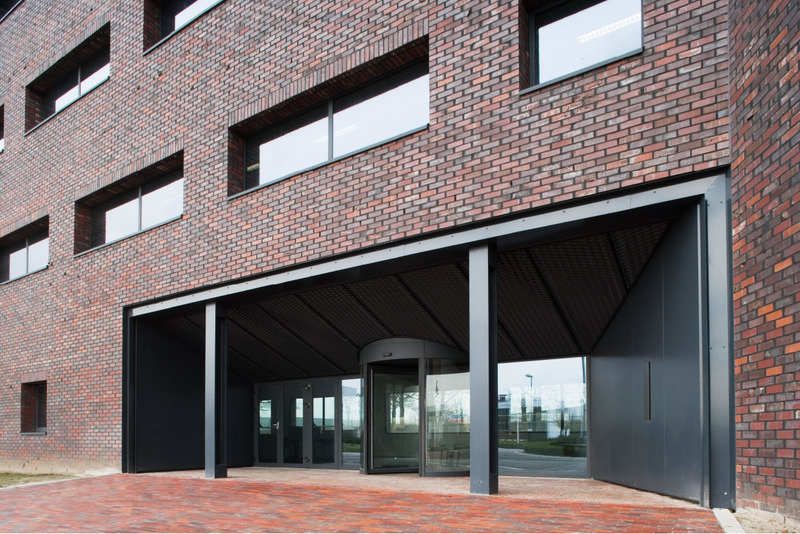 The building is part of the complete reorganisation of the site in Herentals and provides a clearly visible address along the E313 motorway. 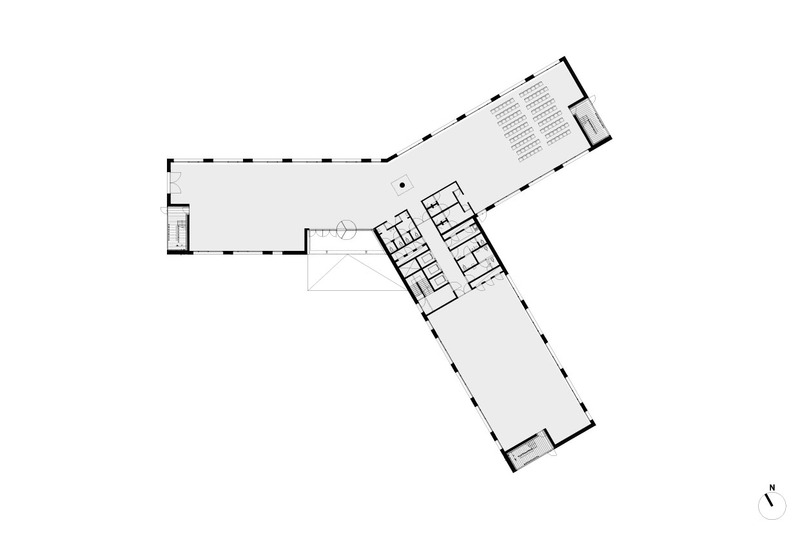 The floor plan began with a very efficient base layout and was subtly transformed to fit within the surrounding environment. 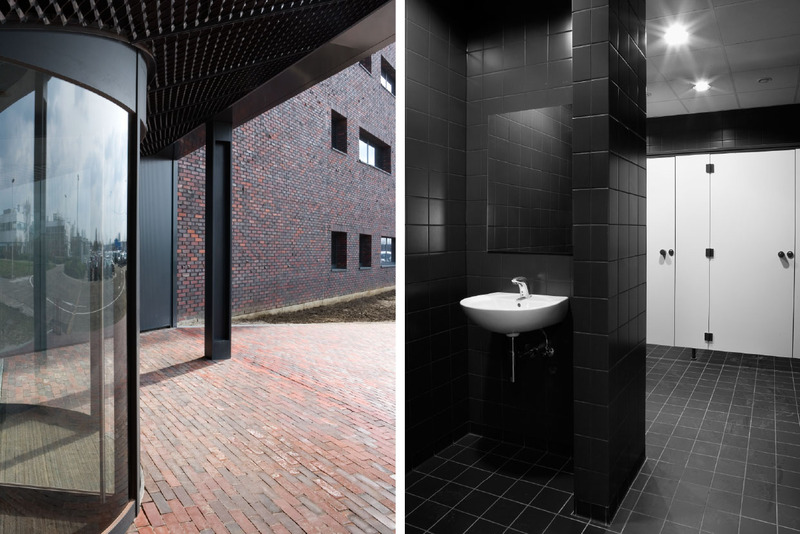 As a result of this transformation, the building commands a variety of spatial positions. 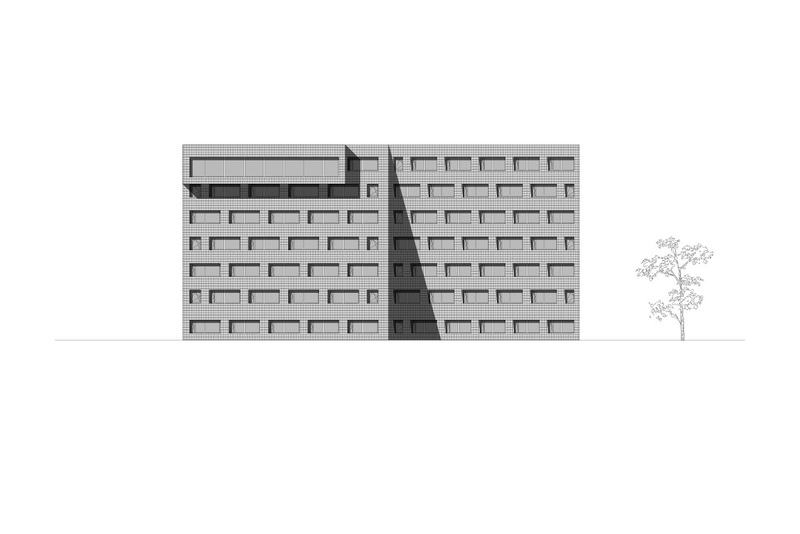 The faint bend on the motorway side emphasises the longitudinal direction of the traffic infrastructure but also integrates a point of rest where an existing group of trees is nestled alongside the building. 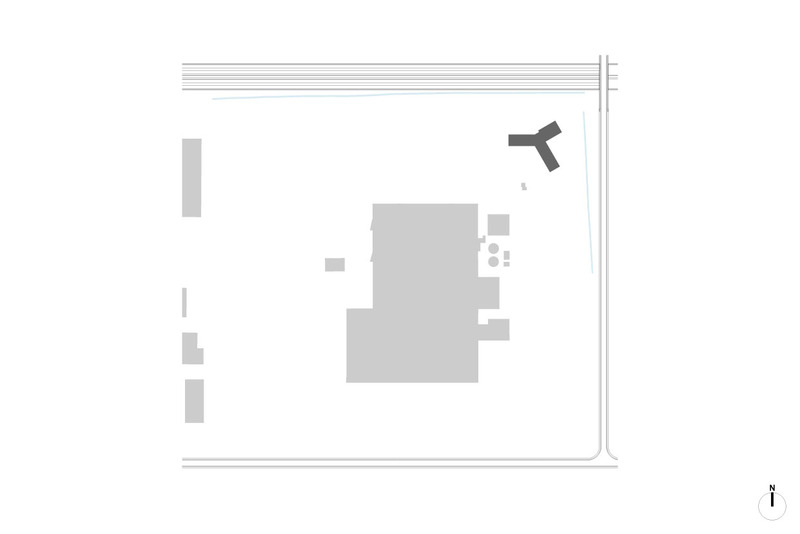 The tangential wing on the car park side draws the line between the entrance side – open to visitors – and the out-of-view logistics courtyard between the building and the base of the immediately adjacent bridge. 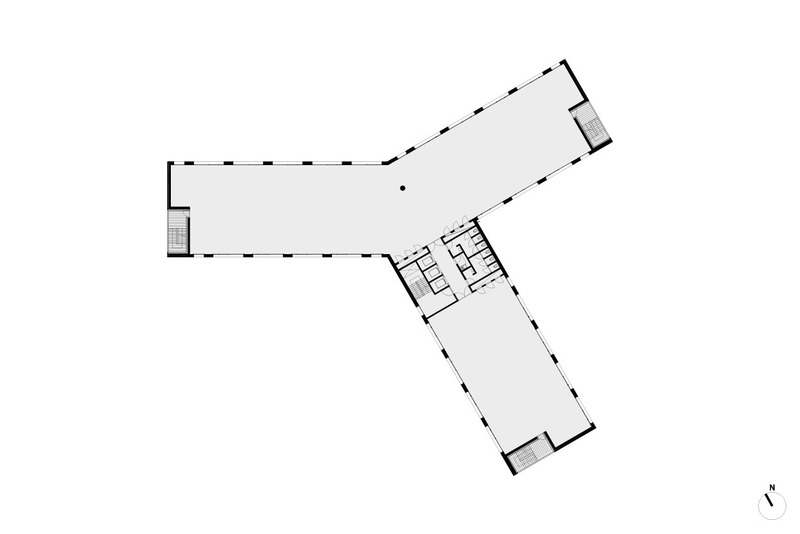 The floor areas are free of columns and are linked to one another by means of 1 central core. 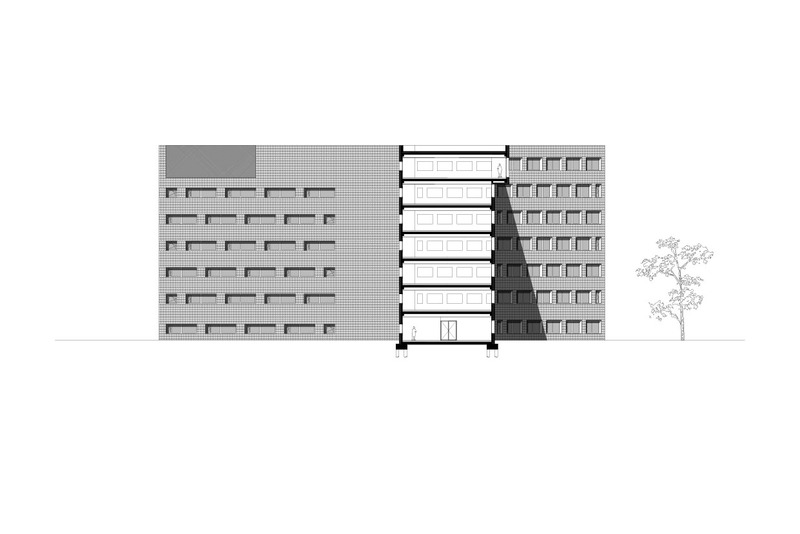 The building therefore affords enormous flexibility in terms of layout. The position and technical execution of the cable shafts and sanitary facilities guarantee ease of use and high adaptability. 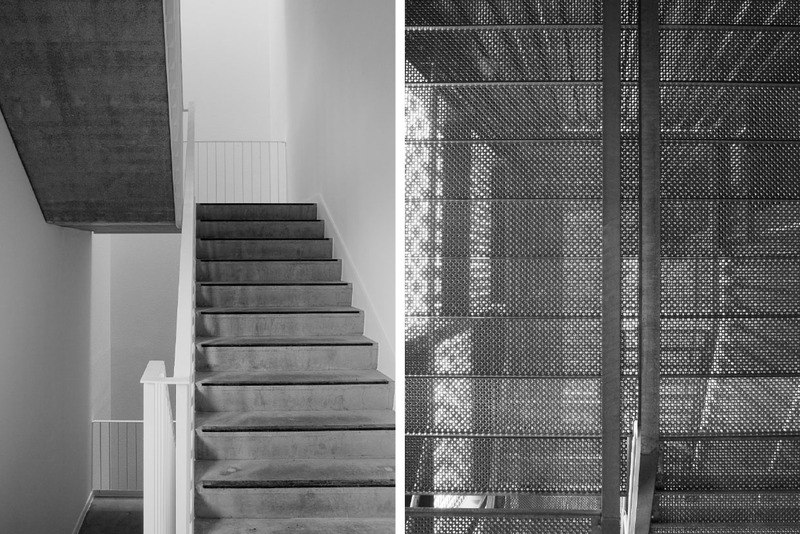 The robustly designed façades have a varied perforation grade depending on the orientation. 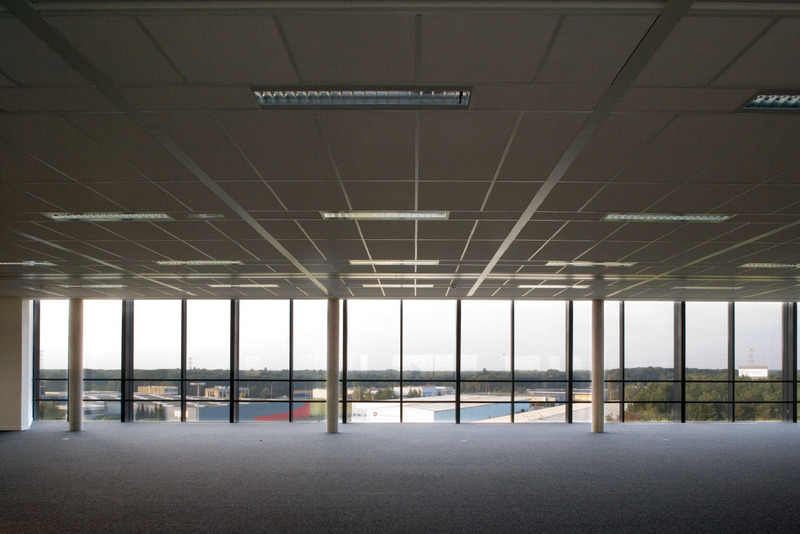 Combined with the deep-set detailing of the windows, this generated a significant reduction in the required cooling equipment and an ambitious – for the time of construction – E80 level. Three elements in particular stand out from the rest: the part of the highest (executive) level which protrudes in the form of an enormous glass billboard facing the motorway; the sizeable recess which forms the undercover entrance zone; and the steel fire stairs which are integrated in the volume itself and which form a functional yet decorative completion of the volume.